Cranbrook Kingswood Upper School instrumental students have experienced another exceptional year at the 2019 Michigan Schools Band and Orchestra Association’s (MSBOA) State Solo and Ensemble. The festival was held on Saturday, March 16th at Rochester Stoney Creek High School. 28 students were awarded 1st Division ratings and 4 students were awarded 2nd Division ratings at this year’s event. A score of 85 or above on a proficiency examination is considered a 1st Division rating, and a score of 70 to 84 is considered a 2nd division. The report of medals awarded, as well as students who received particular honors, is listed below. Students attending the state festival must have received a 1st (superior) rating at their district festival in order to qualify. In addition to their prepared pieces, soloists in tenth through twelfth grades were required to perform proficiency examinations, which consist of sight-reading and playing chromatic, major, and minor scales. Ninth-grade students and ensembles were judged on their prepared pieces only. 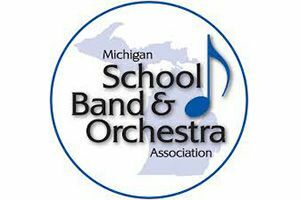 The Michigan Schools Band and Orchestra Association (MSBOA) is a professional organization of 1,300 teachers of instrumental music in school districts throughout Michigan. Beginning in 1934 as a single district event, the festival has grown to a 16-district festival that services over 1,200 public, parochial, and private schools. Students perform solo or collaborative pieces for evaluation by professional musicians and instructors. Congratulations to all of our outstanding Cranbrook Kingswood Upper School instrumental musicians!